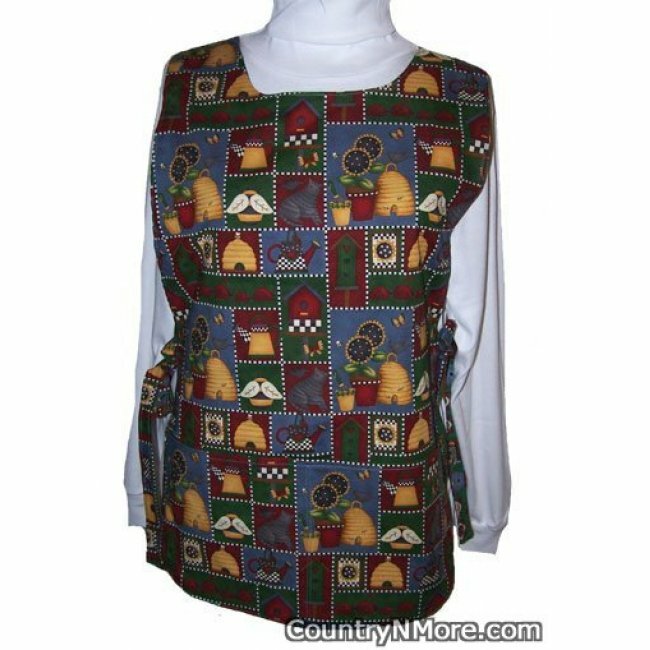 This country theme cobbler apron, has bees, beehives, sunflowers, lady bugs, set amongst country blues, barnyard red, and green tones. The reverse side of the cobbler apron is made from coordinating print. 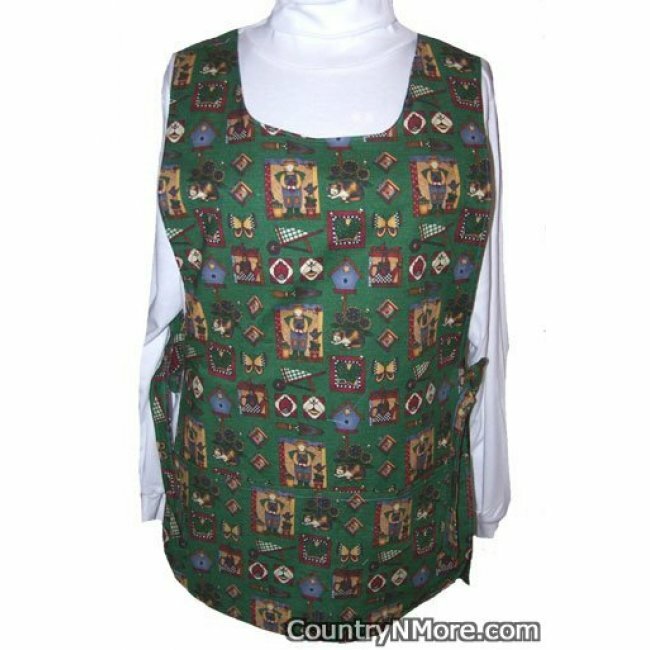 The reverse side of the apron is made from Debbie Mumm fabric with a green background, along with butterflies, sunflowers, birdhouses, gardening tools, wheelbarrows, etc.This apron is perfect for that special someone, or even for yourself.